Before the Many Worlds theory, the separation of fantasy and science fiction was clear. If a story was based on science and scientifically plausible yet not currently possible, it was science fiction. If a story had elements that weren’t based on science and that were not scientifically plausible—like magic, dragons, vampires or ghosts—it was fantasy. The division was clear, and which shelf every book belonged on was simple. Then along came science fiction writers who used some of the elements of science fiction but sometimes fudged the facts or went beyond what was scientifically possible. So science fiction was divided into hard and soft science fiction. Hard science fiction stuck with what was scientifically possible, and soft science fiction went into the realm of the scientifically impossible. Both were still based on science, but where they went from there on was different. As time went by, the science in some science fiction became softer and softer, to the point where it was given different labels, like space opera, sci-fi, speculative fiction (or spec-fic or simply SF), or science fantasy. Star Trek, at least after the original TV series, is science fiction. Star Wars, though, is a space opera. Science fiction movies and TV shows that are very weak on their science are generally considered sci-fi. Speculative Fiction tends to be more literary and deal more, as the name implies, with “What if?” rather than what could be. And science fantasy is fantasy with science fiction elements, like Doctor Who. Doctor Who has had episodes with ghosts, vampires, werewolves and so on, usually giving pseudo-scientific explanations for them. You can’t argue that things in Doctor Who are scientifically impossible, because it’s not meant to be science fiction. Stick a bunch of planets in the Earth’s sky without gravity on Earth going haywire, and that’s fine. It’s science FANTASY, so it doesn’t have to follow the laws of science. But let’s step back in time a little before all this was going on. In 1957, Hugh Everett formulated a theory that reconciled the indeterministic behavior of subatomic particles with the laws of physics. This theory, which he called the theory of Universal Wavefunction, was later renamed by Bryce Seligman DeWitt and popularized as the Many Worlds theory. According to the Many Worlds theory, our world is one of many—perhaps even an infinite number of worlds—that are like our world but different in ways both big and small. Expansions of the Many Worlds theory have taken this even further by saying that many of these worlds might not even follow our laws of physics. I repeat: according to expansions of the Many Worlds theory of physics, there are many--perhaps even an infinite number of--worlds out there that don’t follow our laws of physics. The Many Worlds theory was both troubling and exciting for the science fiction community. It was exciting because it opened up so many new possibilities. There could be alternate histories, like 19th century worlds with 21st century technology, or to put it another way, there could be steampunk. Time-travel paradoxes no longer existed, because instead of traveling back in time to a world where you weren’t meant to exist yet, you would travel sideways in time to an alternate world to which you were always meant to have time traveled. In a scene near the end of the most recent Star Trek movie, the two Spocks are having a laugh at Kirk because the older Spock managed to convince Kirk that his meeting with the younger Spock would cause a time-space paradox, which according to the Many Words theory couldn’t happen. But the meeting of the Many Worlds theory and science fiction was also troubling, because how do you define hard science fiction as being different from soft science fiction, science fantasy, and even fantasy if EVERYTHING (except for paradoxes) is scientifically possible? I think the distinctions between fantasy, science fiction and science fantasy remain the same, but with one exception: fantasy that uses science to explain the fantasy in it can be science fantasy or even science fiction. Back when I was in college, I fell in love with a science fantasy series by Gene Wolfe: The Book of the New Sun (Shadow & Claw: The First Half of 'The Book of the New Sun' ). This series starts out as a pure fantasy novel--or at least it seems to--in a world similar to our middle ages but with other-worldly magical elements. As the story progresses, there are hints that this is not a fantasy world based on the past, but a future world based on our own. In one scene, the main character, Severian, is served what appears to be coffee from an office coffee cart. Because he doesn’t know what this is, he gives the coffee and the cart different names, but we can tell from his description what it is. In another scene, he comes to a path with broken bits of black asphalt. Again he doesn’t know what this remnant from our world is or why it’s there. The reader, however, recognizes this as a hint that long ago this world had paved roads, so long ago that anyone encountering them would not even be able to recognize one as a road. It takes four books, but by the end of the series, we know that this isn’t a fantasy world based on the past but a future world, a science-fiction world in every sense. The novel I’m currently editing, Toren the Teller’s Tale, is a fantasy based on a literary interpretation of the Many Worlds theory. Because if the Many Worlds theory and its expansions are true, every story--no matter how fantastic--could also be true. They might not be true here, but they could be true on alternate worlds. And if they are true on alternate worlds, then that makes stories spyglasses to those other worlds. But what does that make the storyteller, the person who lets you see through that spyglass? Some sort of bridge to that other world, perhaps, but a limited one. The storyteller can only take you there in your mind, not physically lead you there. If the storyteller is a filmmaker, he can also show you that world in a way that lets you see and hear it, yet physically you still remain in this world. But what if--those two favorite words in speculative fiction--what if there were a storyteller who could read and retell physical objects, and even people? What if there were no difference between a word that storyteller told and the object, a story she told and the world that story was about? What if a storyteller could be an actual bridge to the worlds of her stories? What if? That is the question Toren the Teller’s Tale attempts to answer. It’s the Many Worlds theory in literary terms. It’s metafiction--as in fiction dealing with fiction--but what else is it? Is it a fantasy novel? Is it science fantasy? Or is it a work of speculative fiction? I leave it up to the reader to decide. Opinions may change as the series progresses, because this is meant to be the first book in a trilogy. Whatever shelf you decide to put it on, I hope you enjoy it. Every once in a while the subject of my favorite movie comes up, and people tell me I should read the book. 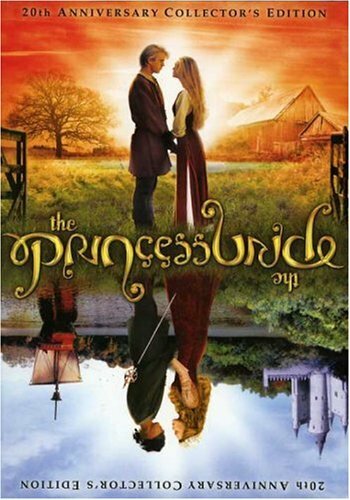 William Goldman wrote the screenplay for The Princess Bride, which was based on his novel. I’ve been meaning to read it for decades, but never got around to it. Recently, I was participating in a Twitter chat for writers, when someone once again told me that I had to read the book. So I opened up my web browser to Amazon, found a used copy, and bought it on the spot. Once it arrived in the mail, it sat on the shelf for a few weeks, because I was busy with other stuff. I had my own novel to edit, information about publishing and social media for writers to study and put into practice, and there were family obligations. But I kept seeing that book on the shelf. “Read me already,” it said. So I finally started to read it, and I told my Facebook friends they could stop pestering me about it already. That post received a lot of “likes,” but then someone warned me about the book. While I knew many people who said it was their favorite book, I've also heard from many who said that the book isn't as good as the movie. I just didn’t know why. William Goldman wrote both, so how different could they be? That almost put me off of reading the book. But I started reading it anyway, and I discovered something rather surprising—William Goldman seems to have liked the movie better too. I say this because the edition of The Princess Bride that I bought is the 30th anniversary edition, which includes both the introduction to the 25th anniversary edition and an even newer introduction. First, to truly understand The Princess Bride, you must realize that this is a story within a story. The internal story of Buttercup, Westley, Inigo and Fezzik is almost identical in the movie and the book. Where the book and the movie differ is in the external story, the one about the storyteller and the audience. This is metafiction, and that’s probably one of the things I love the most about The Princess Bride. In the book, the storyteller is the character of William Goldman. Not the author, but the character. You can tell it’s the character, because in the book he has only one child, a boy named Jason, when in fact the real Goldman wrote The Princess Bride for his daughters. But that’s not all. The full title of the book is The Princess Bride, S. Morgenstern’s Classic Tale of True Love and High Adventure. In the book, William Goldman writes about how he came to abridge S. Morgenstern’s classic tale. However, S. Morgenstern doesn’t really exist. He’s as much a fictional character as Westley and company. From a storyteller’s point of view, there could be no better ending. How could it end better than a request for more? But the book doesn’t end that way. Nor does it end with the much beloved last lines from the movie’s internal story: “Since the invention of the kiss there have been five kisses that were rated the most passionate, the most pure. This one left them all behind. The End.” That isn’t even in the book. The book ends almost in the same place as the internal story, but with the storyteller pointing out that “in my opinion anyway, they squabbled a lot, and Buttercup lost her looks eventually, and one day Fezzik lost a fight and some hotshot kid whipped Inigo with a sword and Westley was never able to really sleep sound because of Humperdinck maybe being on the trail. . . . But I have to say, for the umpty-umpth time, that life isn’t fair. It’s just fairer than death, that’s all." So why are the two endings different? And why do I think the real Goldman preferred the movie ending to the original novel’s ending, aside from the obvious answer, which is that Goldman wrote the screenplay years after he wrote the novel? In the introduction to the 25th anniversary edition, Goldman—the character and the real author—talks a lot about the making of the movie, as well as some of the other movies he wrote. One of them was Marathon Man, which is a story involving a Nazi in New York City, a Nazi who kills and tortures some good people in the story. The Holocaust proves that life isn’t fair, but it’s fairer than death. It proves that it might be better to tell your children not to believe in fairy tales. One-and- a-half million children were killed by the Nazis, in part because these children believed that grownups don’t hurt children. They believed in that fairy tale, and the Nazis used it against them. Only those who could see beyond that fairy tale survived, and I think that might have been part of the reason for the novel’s original ending. But the storyteller in the original novel isn’t Grandpa. He’s a screenwriter named William Goldman, whose son Jason doesn’t want to read Morgenstern’s novel. The character of Goldman in the novel has fond memories of his father reading the story to him, but when he picks up the actual book, he discovers that his father had only read the good parts. So Goldman sets out to abridge Morgenstern’s tale, all the while commenting on what he left out, what his father left out or put in, and what he thinks of all of it. This matters a lot, because, as I’ve already said, the movie and the novel have almost the same internal story. It’s only this external story that changes. But in the introduction to the 30th anniversary edition, Goldman is now a grandfather. Not only that, he’s shared The Princess Bride with his grandson, who loves the story as much as his grandfather does. It took 30 years, but eventually the storyteller from the book evolved into the storyteller from the movie. And although the novel still doesn’t end with “As you wish,” chronologically, it kind of does. Because chronologically, the most recent event, which is found in the 30th anniversary edition’s introduction, is Goldman offering to make his grandson’s birthday wish come true. “As you wish.” And what his grandson requests is something every Princess Bride fan dreams of: a trip to Florin to see the sword that was forged for the six-fingered man, Fezzik’s gigantic clothes, and many other wonders from the story. The grandson gets his wish, and we get to go along for the ride. But what about the theme, you ask? Is the theme different for the 30th anniversary edition too? This edition has a few chapters from a supposed sequel to The Princess Bride, which is entitled Buttercup’s Baby. There’s not much of it here, but what is here is all about love, particularly the love we feel for our children. Fezzik loves Buttercup’s baby so much that he’s willing to give his life to protect little Waverly. That’s not romantic love, but it is true love. So in the end, while life isn’t fair, love makes it bearable. And that truly is love conquering all: the unfairness, the torturers, the Nazis, and even death. For as long as I can remember, I've loved fantasy. I've loved high fantasy, low fantasy, epic fantasy, sword and sorcery, urban and paranormal fantasy, portal fantasy, fantasies about hidden worlds inside our world, humorous fantasy, magical realism, and more. But I think that of all the different kinds of fantasy, metafiction is probably the kind I've loved the most. I remember when I was a little kid listening to the story of Scheherazade for the first time. In the ancient Persian story called The Thousand and One Nights, Scheherazade bravely volunteers to marry the king, even though she knows that the king will likely have her beheaded in the morning. But unlike the many ill-fortuned royal brides that have come and gone before her, Scheherazade has a plan. After the wedding, she asks the king to let her bid her sister, Dinazade, goodbye. As instructed by Scheherazade, Dinazade asks Scheherazade for one last story. Scheherazade tells half the tale, while the king overhears. When the sun comes up in the morning, Scheherazade says she can’t finish her story because it’s time for her to die. The king, however, wants to hear the end of the story, so he lets her live another night. On the following night Scheherazade finishes the first tale, and then start a second. So the king lets her live another night, and so it continues for 1,000 stories told over 1,000 nights. By the time Scheherazade runs out of tales to tell, her stories have softened his heart and made him fall in love with her. He rescinds his decree and makes her his queen. While some of the stories inside One Thousand and One Nights--like Aladdin and Sindbad--are more famous than the story about Scheherazade that frames them, I always liked her story best. Scheherazade was smarter and braver than the women and girls in most of the fairy tales I knew. Sleeping Beauty just waited for her prince. Cinderella was a doormat to her stepmother and stepsisters. Snow White did housework for the dwarves and stupidly took an apple from a stranger. Rapunzel had to be rescued, and so did little Red Riding Hood. The Little Mermaid died because she cared more about a self-centered prince than he cared about her. This was all before Disney and others fixed (in my opinion, although I know many disagree) these fairy tales with movies like Hoodwinked and Tangled. Scheherazade was the only story-book with a backbone I knew. Not only was she smart and brave, but she taught me that the magic of stories was greater--and more real--than any magic could be. I loved her. I wanted to be her. As I grew up, I continued to look for other stories like Scheherazade, stories about the magic of storytelling. I also wanted them to have smart and brave heroines, and I soon became frustrated, because I couldn’t find any. The closest I found was one short story in John Barth’s Chimera, which was the story of Scheherazade as told by her sister, Dinazade. (It’s an adult book, but I was seventeen and ready for adult books. I didn’t discover A Little Princess until much later.) Chimera was good, but it wasn’t exactly the book I was looking for. I just couldn’t find that book. And if I couldn't find it, I knew I had to write it. Which is how I started to write the story of Toren the Teller in my head when I was seventeen. It's the book I'm now editing for publication and plan to e-publish in a few months. I continued to read as many stories about stories as I could find. Back then there wasn’t a word for them, but nowadays they’re called metafiction. According to Encarta, metafiction is “fiction writing that deals, often playfully and parodically, with the nature of fiction, the techniques and conventions used in it, and the role of the author." In short, metafiction stories are stories about stories, writing, or storytelling. It’s the storytelling equivalent of art on art. Metafiction goes back many hundreds of years. Beyond One Thousand and One Nights, which is believed to have taken form about the 8th century, there’s Chaucer’s The Canterbury Tales, which is from the end of the 14th century. One of the earliest works in English, The Canterbury Tales is about people who tell each other stories while on a pilgrimage. Don Quixote, which was written in the early 1600s and which many consider the first novel, deals with a man who believes all the made up stories he’s reads, so it could also be labeled metafiction. Between the 16th and 17th centuries, Shakespeare’s Hamlet has a play within the play, and so does A Midsummer Night’s Dream. A few centuries later, Hamlet was taken a step further in Rosencrantz and Guildenstern Are Dead, which is a play about a play with a play in it. In Alice's Adventures in Wonderland and Through the Looking Glass , which were written in 1865 and 1871, Lewis Carroll included parodies of poems that were famous in his day, marking those books as metafiction. Some have even argued that Homer’s The Odyssey, guessed to be from about 1170 BC, qualifies as metafiction. That’s how long metafiction existed before there was even a label for it. For me, reading stories about stories is like looking at a watch with the back off and seeing the marvelous cogs and springs exposed. You can see how all the pieces move as it ticks, ticks, ticks. Metafiction gives you a chance to peek behind the scenes. The magic of storytelling is exposed for all to see, and that's what I love about it. Because this is the real magic: not in the wizards and dragons that some fantasy stories are about, but in the act of storytelling itself. Today there are so many stories about stories. Some of them are books, while others are songs, plays and movies. You don’t need to know what metafiction is to be touched by the special magic of stories about stories. Here’s a quick list of just a few. Some—perhaps even most—of the people who have enjoyed these books and movies never really stopped to consider whether they were stories about stories. But they still enjoyed that magical peek behind the scenes. Of course, as you can see from this list, not all metafiction is fantasy. Hamlet isn’t (okay, except for the part with the ghost), and neither is The Help. But I think that adding fantasy to metafiction gives writers more room to explorer the nature of stories. Like Tigger in an old Disney Winnie the Pooh movie, fantasy lets you turn the book sideways to help a character get out of a very tall tree. It lets characters have conversations with their writers. It lets metafiction be all that it can be. Do you have a favorite story about storytelling or a storyteller? If so, which one? Want to turn your picture book into a multi-media iBook? Like many writer-illustrators, I've long been fascinated by picture-book apps, and I've been wondering how I can take advantage of this new technology. David Fox (along with Carisa Kluver) co-hosts a weekly Twitter chat with Brooks Jones on this topic. It's called #storyappchat, and it takes place every Sunday at 9pm EST. David is also the producer of a new picture iBook, entitled Are You My Friend? He agreed to answer my questions on how a picture iBook is made. David, please tell us a bit about this project. Who wrote it? How did you find an illustrator? The drawings are delightful, by the way. And what about the voice talent? Who is she? She’s really good. Where did you find her? We first met Eli Noyes, our illustrator, about 18 years ago. At the time he was a director at Colossal Pictures. We told him about Annie’s Raymond and Sheila book series, and he offered to create a drawing for us, to help Annie show the book around. Interestingly, this wasn’t Are You My Friend? but a different Raymond and Sheila story (which we can now publish as an iBook at some point in the future). Anyway, in 2003 we reconnected with Eli and asked if he might be interested in doing some drawings for Are You My Friend? Eli, wanting to expand his already very impressive skill set, happened to be taking a class on children’s book creation/illustration, so he saw this as a great opportunity. He helped us lay out the entire book, did sketches for each page, and did some beautiful watercolor illustrations for some of his sketches. But despite our attempts, even with an agent, we weren’t able to find a publisher then. A year ago, we realized we didn’t have to wait to find a publisher... we had all the skills to publish it ourselves on an iPad! So we reconnected with Eli yet again, and this time he completed all the illustrations in color. For the narration and character voices, we knew we wanted to go the professional route. I contacted an old friend and LucasArts alum, Julian Kwasneski, and told him about our project. He loved the story and Eli’s art and wanted to make sure we had a great actor to play the parts. We worked with the Stars Agency and got back auditions from 10 voice-over actors. While they were all really good, Melissa Hutchison was perfect. She was able to nail all the voices in the audition. And Julian had already worked with her on other projects, so they had an established working relationship. Jory Prum was our sound engineer (another LucasArts alum), and Julian our sound director. Julian also helped with the sound effects we added to the iBook’s soundtrack. Why did you and your wife decide to turn this story into an iBook? Our original plan was to turn it into an app. Having gone through that process once already, I knew how long it would probably take (about 2-3 months). And then I learned about Apple’s update to their iBooks bookshelf app that enabled background audio and synchronized word highlighting with the narration. That seemed like a perfect vehicle for our story, since we already had the art and narration. With the help of a beta version of RedJumper.net’s Book Creator app, I was able to lay out the book and text in iBooks format. Then I added the sound coding by hand. What special features does Are You My Friend? have? In addition to the read-it-to-me narration and soundtrack I mentioned above, and of course, the whimsical illustrations and fantastic narration, we’re using high resolution images so you can pinch-zoom in to see more details. There’s also a unique friendship skills/social and emotional learning guide for parents and teachers at the back of the iBook. How did you add those features? Was it a lot of work? Did you have to do any coding? Do you think anyone could do it? Adding the narration with synchronized word highlighting was a lot of work. I used the open source Audacity software on my Mac and imported the narration for each page spread. Then I selected each word and bookmarked it, naming the bookmark to match the spoken word. Audacity then let me export these bookmarks into a text file that contained each word and the start and end point of the sound (in seconds). I converted that data into the format that the iBook required, using an Excel spreadsheet to help. I then exported from Excel into the pages of the iBook. Yes, there’s “coding”, very similar to the HTML coding of a website. But no programming. There’s no logic code (if-then-else statements), just XHTML statements. I don’t know if anyone could do it. If you’ve ever built a website (even a small one) and did some hand-tweaking of the underlying HTML code, then yes, you could do this. If that sounds daunting, then hold on a bit... I’m sure that some tools will appear that will make this all much easier, without ever having to touch the code. Tell me about Book Creator. Where do you get it? What do you need to run it? What does it do? How much does it cost? Is it hard to get the words to light up when they’re read? Did you encounter any problems along the way? How did you solve them? I was fortunate to be accepted as a beta test for Book Creator. It’s made by RedJumper.net, and was just approved by Apple to go live. You can buy it starting September 15th in the iTunes App Store for $6.99. That’s an amazing deal! How long did each step in the process take? What were the costs involved? After having all the art assets and text, it took me a few days to resize the art to the best size for an iBook, drop it in, and add the text. But it took me a few weeks to do all the narration and word sync code, music, sound effects, and ambient sound for each page. Part of that was a learning curve for me. I could probably do it all in about 2 weeks now that I know what I’m doing. Costs for this last stage were minimal... really just my time, plus about $50 for the royalty free music we used, and some more for sound effects from Julian. The biggest cost by far was the actual recording session. Of course, this depends on how much text there is to record (we recorded a lot of extra text for a future interactive app version of our book), how much the talent charges, the sound studio, sound effects, etc. Figure a few thousand dollars to do it all at a professional level. Maybe less if you want to cut some corners. How do you get a picture-book iBook into the iBookstore? If you’re already an app developer, you need to register under a different account. There is no fee for this, but you do need a US bank account. You also need an ISBN number for your book. It should be a new one, not one already used for a paper version of your book (if it’s been published already). But it could be the same as an ebook version of your book. If you don’t have one, you can buy them through Bowker at https://www.myidentifiers.com where the price is $150 for 1, $250 for 10, or $1000 for 100. But there’s a non-profit that bought a block of 1000 ISBN numbers and is reselling them for $5 each. http://www.epubbud.com/isbn.php - only downside is that in the Bowker database, epubbud is listed as the publisher. But you still have control over the meta data you send to Apple, so you can control who the publisher is there. Once you’re accepted into Apple’s iBook developer program, you can download sample iBook files and their PDF guides on how to do it, like their assets guide. You also download a Mac program called iTunes Producer that walks you through the process of adding all the meta data (title, description, author and illustrator names, pricing, cover) and attaching your epub file. It then checks the syntax to make sure there are no errors, and uploads it all to Apple. It’s then live in the iTunes iBookstore within an hour or two! Any advice to writers or writer-illustrators who are considering turning their stories into iBooks or apps? Go for it! If you have any technical skills at all, work with Photoshop, and have an iPad, you can at least do a silent version using the Book Creator app. If you have HTML skills, and want to invest in recording the narration, then you could go the next step and turn it into an enhanced iBook with sound. Or wait a bit until the tools catch up and it won’t be as difficult to add the sound. Going the book app route only makes sense if you plan to add some animation and interactivity. Doing a book app is definitely more challenging, though there are several tools that make this easier as well. We list several in the right margin of the http://storyappchat.wordpress.com/ site. There’s a huge range here, with some taking a percentage of the royalties and publishing the final app themselves, and others, like Kwiksher.com’s tool, where you also need to license the Corona SDK, have an Apple App developer’s license, and submit the final app yourself (but they don’t take a cut of the royalties). So, unless you plan to do animation and really need a lot of interactivity to make your story work, I’d say stick with the iBook format. Much easier to create. You could always do an app as well. Are you considering hiring out your services to other writers or writer-illustrators? Yes, we have considered that. We do have more of our own content to produce, but we’re happy to consider taking on other projects, if they match the types of books we want to work on. The unifying feature of all our iBooks and apps are that they have to be entertaining as well as empowering for kids. I’m also a consultant for app and iBook developers, and am happy to hand-hold someone through the process. I’ve always enjoyed helping people learn a new tech skill after I’ve successfully completed a project myself. Anything else you would like to tell us about Are You My Friend? I've been answering email from kids around the world since 1997. For children of any age, nothing matters more than having friends they can trust. Parents do a great job of teaching toddlers to "be nice." But as friendship conflicts become more complex, kids are left to figure things out on their own. The results don't often lead to constructive learning. By telling an engaging story about kids being kids, complete with a set of positive messages, readers can learn what it takes to have a friend and to be a real friend to yourself and others. 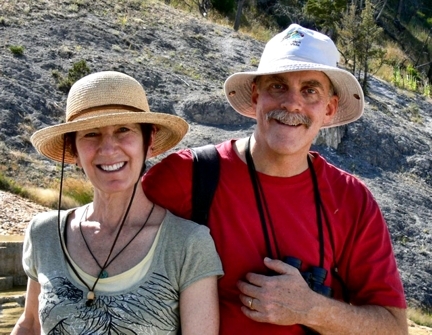 Thanks, David and Annie! And here's wishing you both the best of luck with the book. And for those who would like to learn more from David and others about making picture iBooks or apps, check out #storyappchat on Twitter on Sundays at 9pm Eastern time.